Total ev and hybrid sales are not considered a real market as they don’t cover more than 0,5%. Toyota is leader company as far hybrid vehicles. French group PSA is leading car company as far electric vehicles sales. Thus these few numbers, Italy can be considered an interesting market for electric mobility. There is high percentages of vehicle/inhabitants (medium 65cars each 100 inhabitants), a suitable environment with small cities, few metropolitan areas very crowded but not very extended. With an estimation of 140/180 km range, almost all vehicles could suit the daily mobility of private and some types of business. Following Pikeresearch Forecast (Electric Vehicle Charging Equipment in Europe research published in july 2012) Italy can be considered as the 5th European country for future infrastructure charging points market, that is the anticipating business for EV market. There are many forecasts published in the recent few years and we wouldn’t enter into comments on that area, as they are similar to International forecast. Typically it is presumed that 4% of total car market will be of EV vehicles by 2020. It is more interesting to estimate market growth after incentive law. 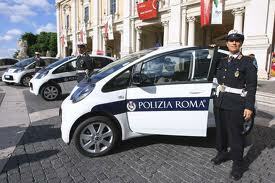 City of Rome: the city of Rome recently bought a small fleet of electric vehicle (14 citroen CZero, but they are extending the fleet) to provide local municipality with an ecological vehicles and had a plan to install 200 charging point to add the 102 existing ones. 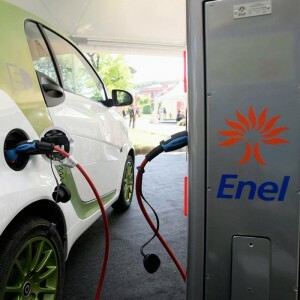 (43 are free of charge installed by local public transport and 59 pay per use owned by national energy provider, ENEL). electric car sharing (almost complete electric, as there are few LPG o small engine cars within the fleet), based on Milan train station, airports, and few cities around Milan (Como, Varese, Pavia and Lodi). Main locations are train stations as intermodal points to reach the city by train and to proceed with electric cars. The service has now up to 40 parking locations, 4000 members and a medium of 600 renting montly. The city of Naples are planning to design and launch the ZEC Zero emission city project, creating an open platform to all car manufactures. Interesting approach has been promoted by the Regional Government of Emilia Romagna. The region sign an agreement with main cities (Bologna, Imola Reggio Emilia, Forli, and others soon) to create a regional mobility infrastructure standard and service. All these cities are like 20/30 km far each other and can be considered as a big metropolitan area. Working together with local energy providers, under the coordination of national energy provider ENEL a complete interoperable 80 charging point’s network is under construction. Clients will have the chance to pay also through public transport regional card, to integrate al mobility service in the region. 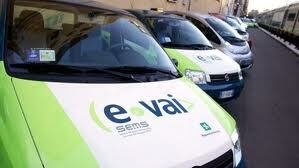 The city of Reggio Emilia (171.000 citizens) has already 350 ev vehicles fleet as it started many years ago to convert local fleet into electric vehicles. 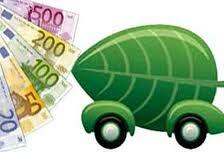 If we look at private or public compnaies we mainly see important brand using electric vehicles into their fleet. International brand such as DEKRA, McDonald, Siemens, or National branda s BNL (Banking group). From a different point of view italy has few high level capabilities industries in terms of technology and competences in the EV market. Recently the Italian ministry of Environment Corrado Clini established and industrial partnership of Italian companies to support the China government in its ev development plan. But Italy counts some industrial company with high competences in charging point such as Ducati energia, an autonomous company from the bike brand but coming from the same old family, that build charging points and is becoming an European player. Tazzari group, company that produce the ZERO small car, also available in United States. Microvett is a long lasting company directly focused on converting vehicle into electric cars. But also Italy has some high competences in integration of EV market into public transport policies and overall mobility system as we approached sustainable strategies since many years ago. The national Parliament is finally approving a dedicatel ev market law to incentive purchasing of low emission cars and an infrastructure charging point plan. 2015. If we estimate a medium discount of 3500€, we than calculate that the Government can push up to 5.700 new low emission vehicle in the next 3 years. The critical part of the law (or a positive part, it depends the point of view) is the fact that comprehends also low emission cars (such as lpg, cng or high technological vehicle). A strong debate took place last years as some car manufactures wanted the hybrid and low emission (as lpg or cng) cars to be allowed to the grant. 2) Infrastructures charging point national plan. The law defines an annual plan to guarantee the miminum level of service in main cities, defining standards and interoperability among energy utilites and providers, with incentives to petrol network to install charging point within their local distributors. The plan has 20mln € for each year 2013, 2014, 2015. 3) Research. The law support technological development and research to charging point networks, and future issues related to ev market, in particular considering on board equipment for smart grid applications. 5) The national energy authority will be in charge of defining special tariffs for ev charging bill, with strong promotion for domestic and commercial use with the possibility of independent bill. You can read extract of the law (available only italian). My friend electric bill in Udine appears to be €87 for 69 kWh electricity consumed. This makes it cost perhaps three times more for electricity than diesel fuel. Further, they tell me the residence is permitted up to 3kW consumption. My EV consumes 6.6 kW during charging. I want to bring an electric car to Italy but this pricing for electricity gives me serious pause. How can I believe the government is seriously promoting EVs?